Getting enough rest is important. It cannot be emphasized enough for us to keep ourselves healthy – so we can take care of our elderly or ailing loved ones longer. 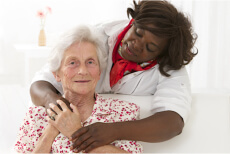 At 3GS Direct Care Services Provider Home Care, we offer Respite Care programs that allow family members to take their much needed breaks in between caregiving tasks.